This is for The Progressive Magazine. 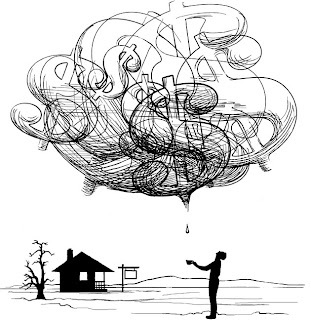 Jim Hightower's article discusses the economic gurus' insistence that the economy is in fine condition, in the face of obvious economic stress, particularly for those losing their homes. 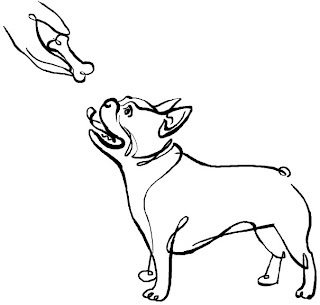 I love this dog illo that I did for American Express, but I'm afraid they can't use it for our gift card project. Tut tut - I will find somewhere to use it!